The University of North Carolina performs approximately 1694 cardiac and thoracic surgeries each year. These cases usually require anesthesiologists who have additional training in this field. Under the direction of Division Chief Dr. Lavinia Kolarczyk, the members of the cardiothoracic team are dedicated to quality patient care, which includes not only supportive training of medical students and residents, but also continuing to further their own education as new advances in the field arise. 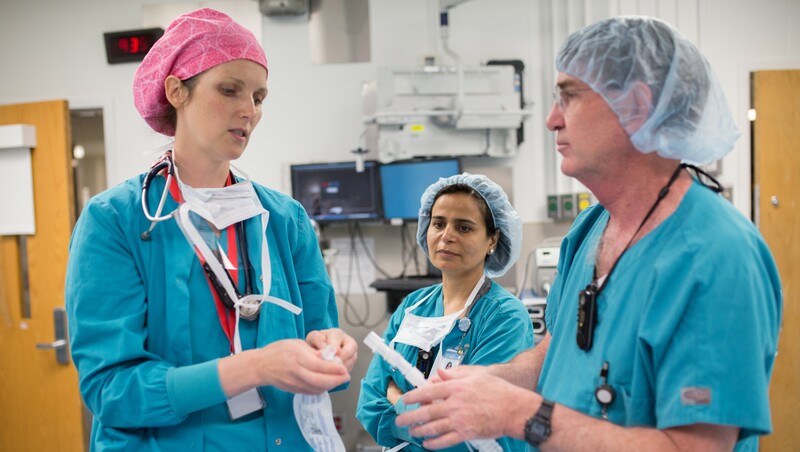 Many of our residents have gone on to do a cardiothoracic anesthesia fellowship as a result of the excitement and encouragement they received from this team.